Everyone is entitled to an opinion and most of us are quite happy to share the benefit of our own infinite wisdom with anyone that will listen (a case in point…this blog!). So it’s hardly surprising that one of the more regular features in the media is lists of the ‘Top 10 this’ and the ‘Top 100 that’. Many of these lists are so subjective and arbitrary as to be meaningless. However, some of the better ones are put together by Chris Bertram and his colleagues at Golf World UK. Among the requirements for inclusion in their list is the obligation that the members of the panel actually have to have visited the course in question, which is a surprisingly rare necessity in many of the other lists. With that in mind, we were especially pleased to see how some of our courses had fared in two recent lists published by Golf World. Their list of the Top 100 Golf Resorts in the UK and Ireland features no less than ten courses designed, co-designed or renovated by us, including seven in the top 50. 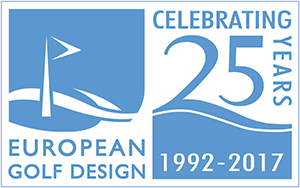 And in the Top 100 Courses in Continental Europe rankings, we have been involved as designer or co-designer at five courses, with another two featuring where we have been involved in renovations. We don’t do what we do to get included in lists, but can’t help admitting that it is reassuring when our work is recognised by others as having some quality.